Tossed about: it describes Jesus and the disciples. Jesus had already wanted to be by himself in prayer before the encounter with the great multitude of people who need “rescue” from hunger (Mt 13:12-21). 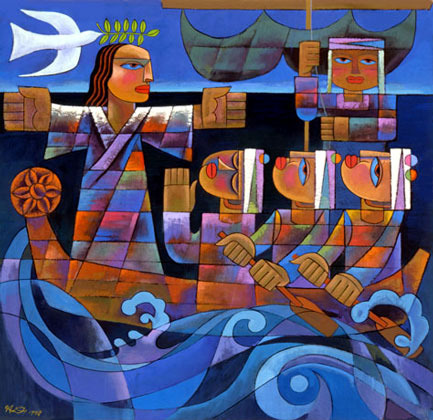 Their need becomes the wind and waves that toss Jesus about as he responds in compassion. 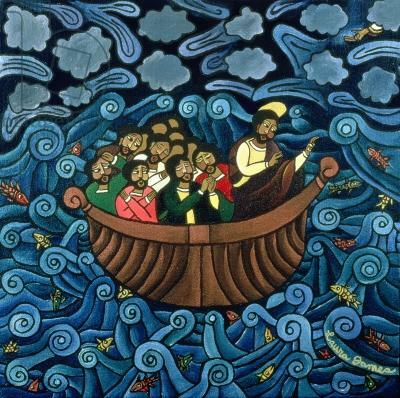 The disciples are directed to go ahead by boat – and they will be tossed about on the seas.